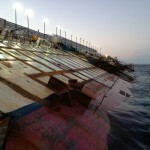 After one year, the cruise ship Costa Concordia still remains aground off Isola del Giglio, Italy. Salvage plans to remove the wreck began in earnest in May 2012 with plans to refloat the crippled ship in early June 2013. Back in January 13, 2012, the Costa Concordia began its first leg of a cruise around the Mediterranean Sea with 4,252 people on board. 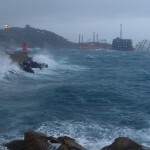 The captain had deviated from the ship’s scheduled route to pass closely by Isola del Giglio. 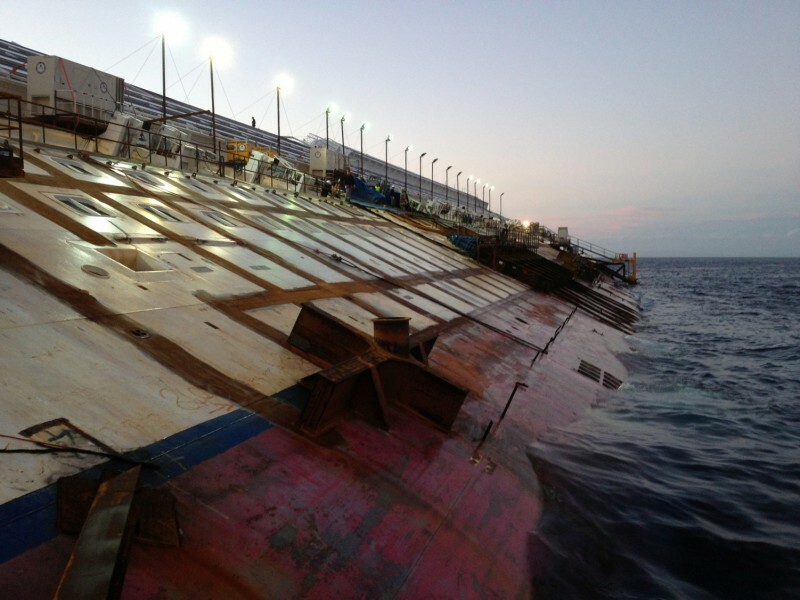 As the vessel approached near the island, it struck a reef gashing a large hole into the hull. 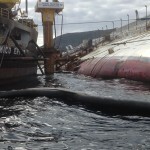 The vessel soon lost power before it capsized onto its side. 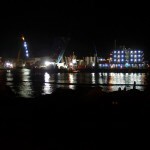 A six hour evacuation of the vessel nearly all the passengers were brought ashore, but 32 people perished as the vessel sank. 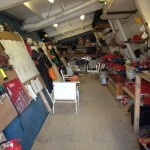 Later, it was announced that the Costa Concordia was a constructive total loss. Latest reports state damages from the incident will cost over 500 million US dollars. 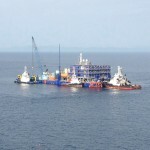 The plan, which will re-float the vessel’s hull, places the highest priority for ensuring the lowest possible environmental impact as well as the conservation of tourist and economic activities on the island of Giglio, with maximum safety precautions. Environmental protection will be the top priority throughout operations of this mammoth recovery. The plan also includes measures to safeguard the economic and tourist activities on the island of Giglio. Staff will work to remove asbestos. The work is not expected to have any significant effects on the summer tourist season. 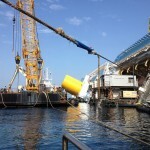 To further reduce any impact on the activities of the Marina del Giglio, the base for the salvage operations will be off the island, near Piombino, where equipment and materials will be collected for the work. 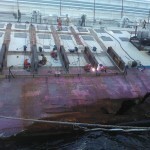 First, once the ship has been stabilized, an underwater platform will be built and watertight boxes, or caissons, fixed to the side of the ship that is above water. Two cranes fixed to the platform will pull the ship upright, helped by the weight of the caissons, which will be filled with water. 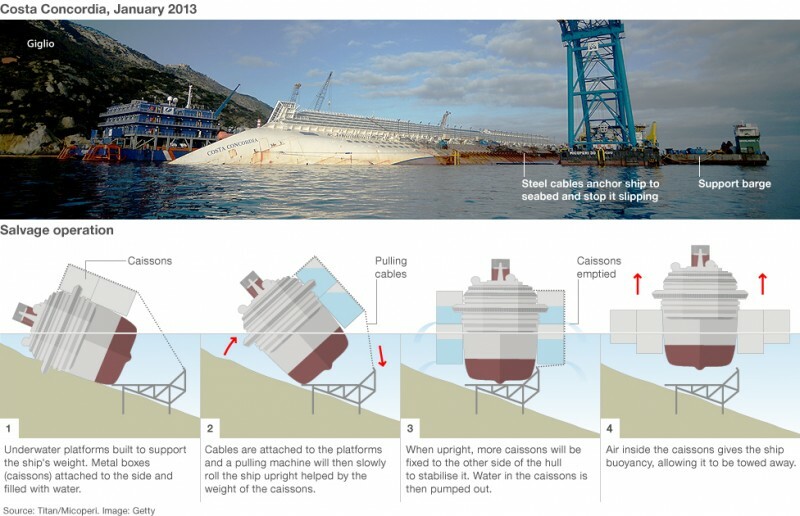 When the ship is upright, caissons will be fixed to the other side of the hull to stabilize it. Finally, the caissons on both sides will be emptied, after the water inside has been purified to protect the marine environment, and filled with air. 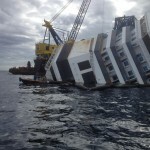 Once floating, the wreck will be towed to an Italian port. Once the removal is complete, the salvage team will clean the waters and the restore the marine flora. 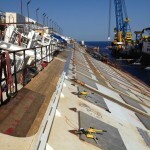 The plan was evaluated from a technical standpoint by a committee, composed of experts representing Costa Cruises, Carnival Corporation & plc, London Offshore Consultants and Standard P & I Club, in collaboration with RINA and Fincantieri, in accordance with the requirements and recommendations set by the Italian authorities. 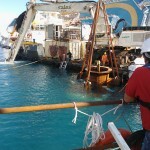 The plan was evaluated to ensure that it would meet the main requirements: removal of the entire wreck with maximum safety precautions and as little impact to the environment, tourism and economy of Giglio.